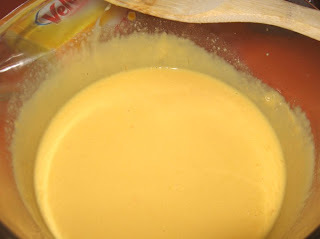 I know some food snobs will turn their nose up at a recipe using Velveeta cheese and that's OK, I don't use it very often either. 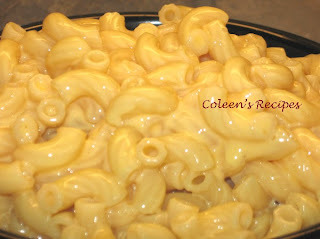 However, Velveeta DOES make the creamiest macaroni and cheese, you have to admit it!! 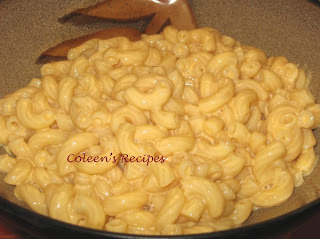 A few days ago, Julie, over at Better than Burgers, posted a recipe she called KFC Mock Mac and Cheese. While I've never tried KFC mac and cheese, the recipe looked great. 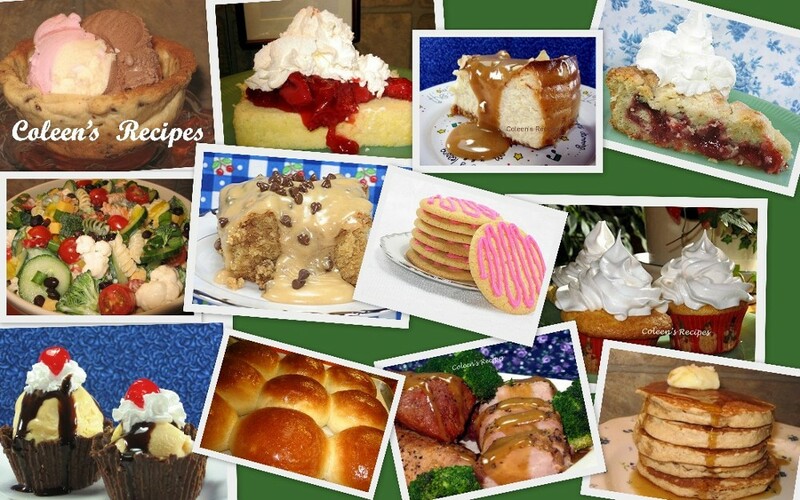 I made a couple of very minor changes to her recipe and renamed it. When the macaroni is almost done, put the Velveeta (cubed)+ the shredded cheddar + the milk in a microwave safe bowl. Microwave it on high for 1 minute, remove and stir. Microwave it for one more minute and stir till smooth. All microwaves are different, so watch yours for the final 30 seconds as to not over cook the cheese. The sauce will be very smooth. Drain the cooked macaroni and stir into the sauce...that's all there is to it!! If you like "Velveeta Shells and Cheese" out of the box (the one with the foil pouch of cheese sauce) you will love this recipe. NOTE: This recipe calls for 6 ounces of Velveeta cheese, fortunately, the Velveeta foil wrapper is marked in one ounce sections, so that makes it easy. NOTE: Most elbow macaroni is boiled for about 7-8 minutes, but when I make macaroni and cheese, I like to boil the noodles an extra minute or so. It's just a personal preference. Super easy, kids loved it - said it tasted like "real mac n cheese" (you know, their favorite out of the blue box), and doubles perfectly for large groups.